The Lochside Hotel is found in the centre of the village of Bowmore on the main road towards Port Charlotte. Islay can be reached via Kennacraig which approximately 5 miles south of Tarbert and 100 miles from Glasgow. 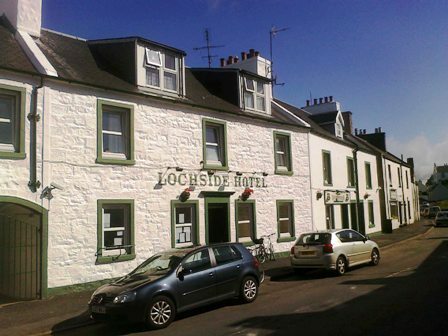 The Lochside Hotel comprises two adjacent terraced properties which have been integrated to form the current accommodation. The original property is of stone construction set under a pitched slate covered roof whilst there are extensions to the rear including a conservatory accommodating the dining room and further small extensions of modern construction. 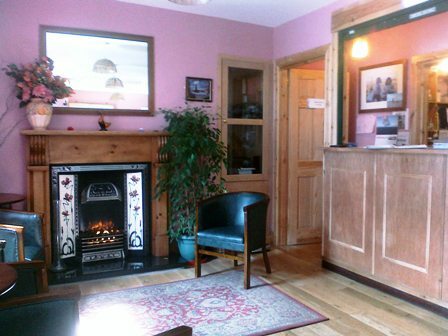 The main entrance into the Lochside Hotel is directly off the main road which opens out on the main reception area and also the hotel office. From this main reception the whisky bar is accessed off to the right, which comprises an attractive bar area fitted out with timber floors and wall linings and with a timber and glazed gantry to the rear. The whisky bar show pieces the large collection of Islay whiskies, some of which are very rare. To the rear of this bar is the main dining area which focuses on a new conservatory extension which takes advantage of the view over the harbour to the sea and beyond. The dining room, which also includes an area used for breakfasts, comprises approximately 60 covers with tables being set out in twos and fours. 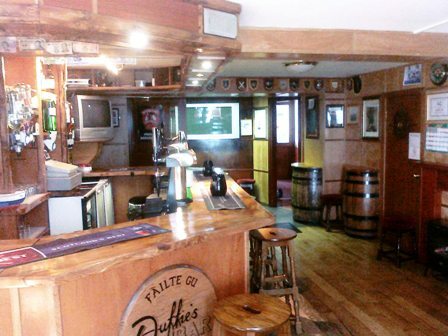 Finally, Duffies Public Bar is accessed via a separate entrance or from the dining room/whisky bar and has a back to back servery with the whisky bar. 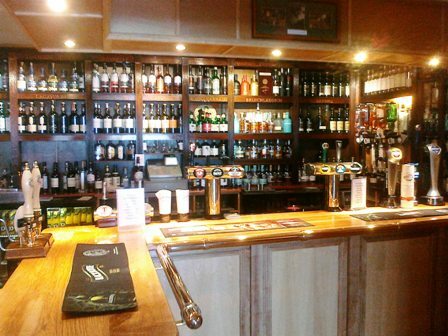 The bar has attractive wooden finishes with various whisky making memorabilia over the walls. In addition, the public bar has a large flat screen tv mounted on the wall and is used regularly to show football and sporting events. Accessed via the dining room is an outside patio/terrace which overlooks the harbour and bay and is particularly popular in the summer months. The letting bedrooms are arranged as 7 doubles/twins, 2 singles and 1 family room. All bedrooms have en-suite facilities of either bath/wc or shower/wc and also include colour tv and hospitality trays etc. To the rear of the hotel are modern and well equipped kitchen, storage and preparation areas together with a laundry and a basement cellar. The property trades extremely well at present, under the current owners and management having benefited from a comprehensive upgrading and reconfiguration shortly after the current owners purchased the hotel in 2003. In particular the trading figures are extremely good with the turnover for year ended 5th April 2010 reported at £650,000. The business has become a focal point of the village of Bowmore and is extremely popular with both locals and visitors alike and has become particular well known in respect of the quality of food on offer together with the extremely poplar Whisky bar with an extensive range of Islay malts on offer. The hotel has been awarded a gold award by the Whisky Magazine as one of the great whisky bars of the world. 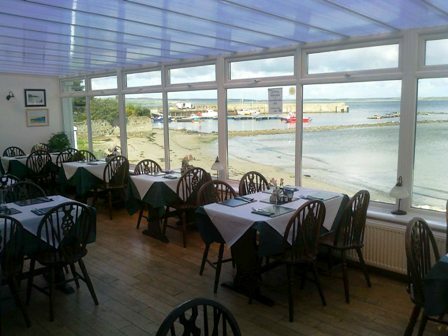 The recently completed restaurant conservatory has proved to be a very popular venue for lunches and dinners and enjoys fantastic views over the harbour and sea. Full historical trading information will be made available to seriously interested parties after formally viewing the business. No direct approach should be made to the property. A private apartment in respect of owner’s accommodation is found on the upper floor which comprises a livingroom, hall, kitchen, double bedroom and bathroom.